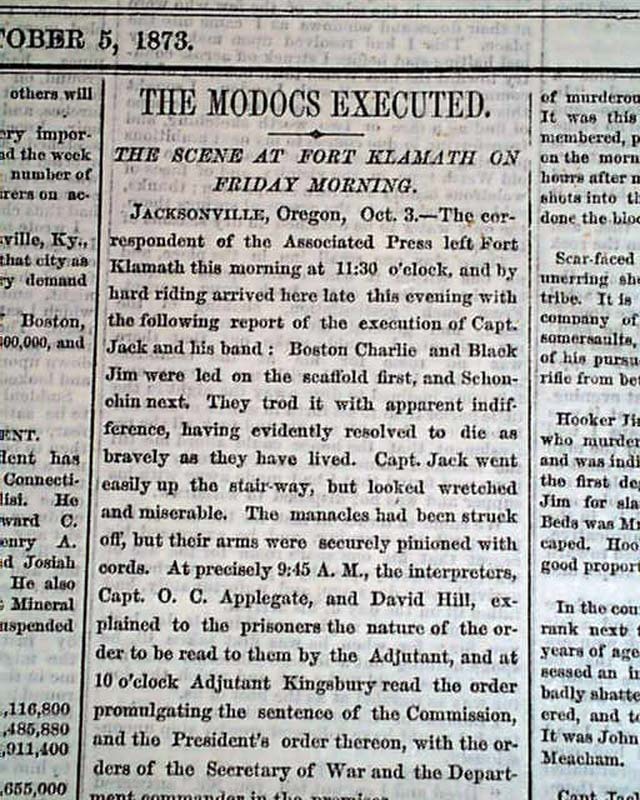 The top of the front page has an article headed: "The Modocs Executed" "The Scene At Fort Klamath On Friday Morning" with the report taking close to 1 1/2 columns. 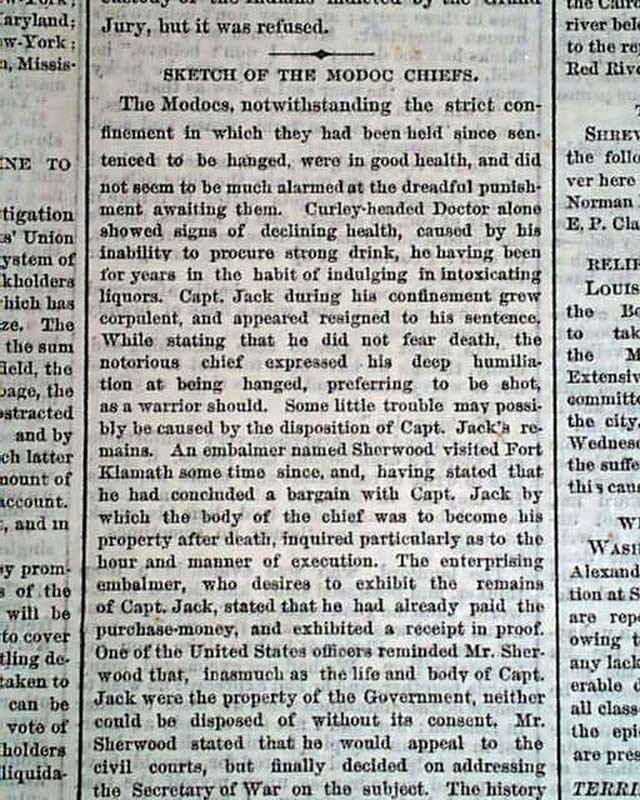 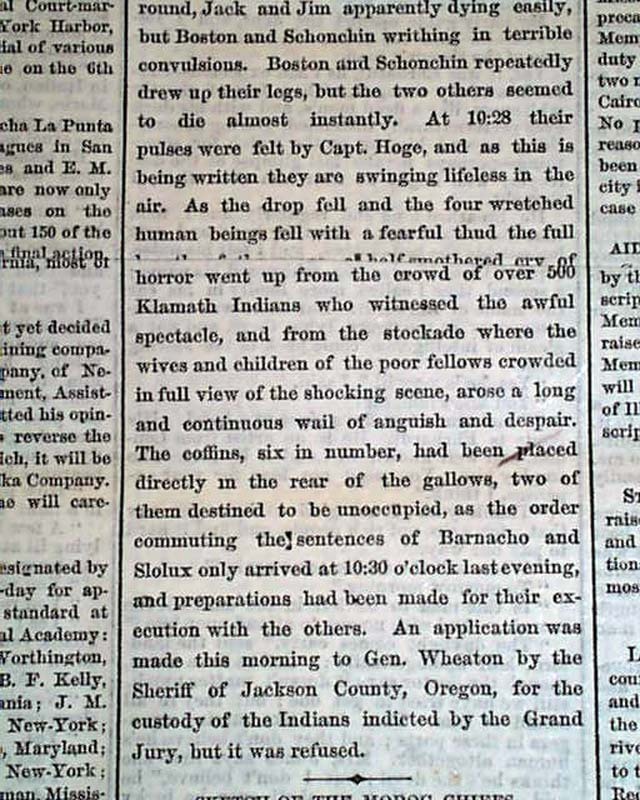 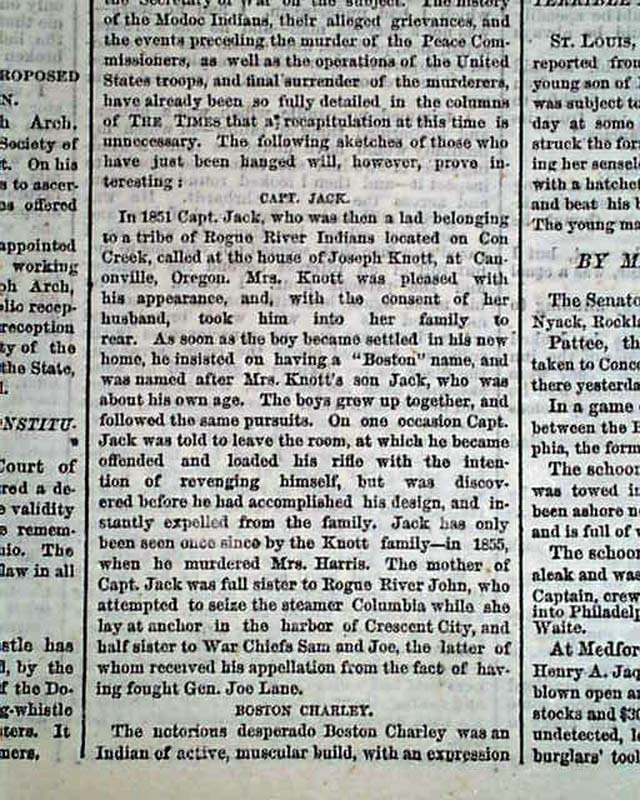 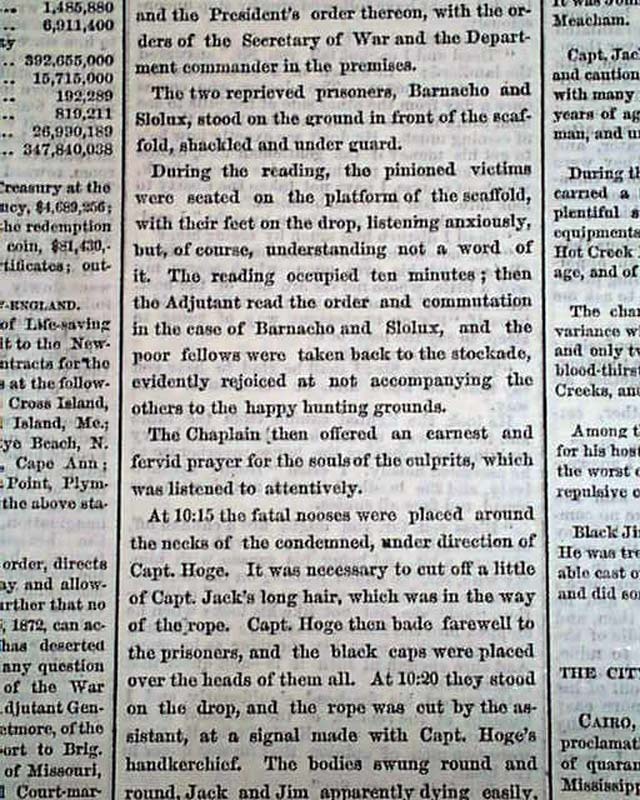 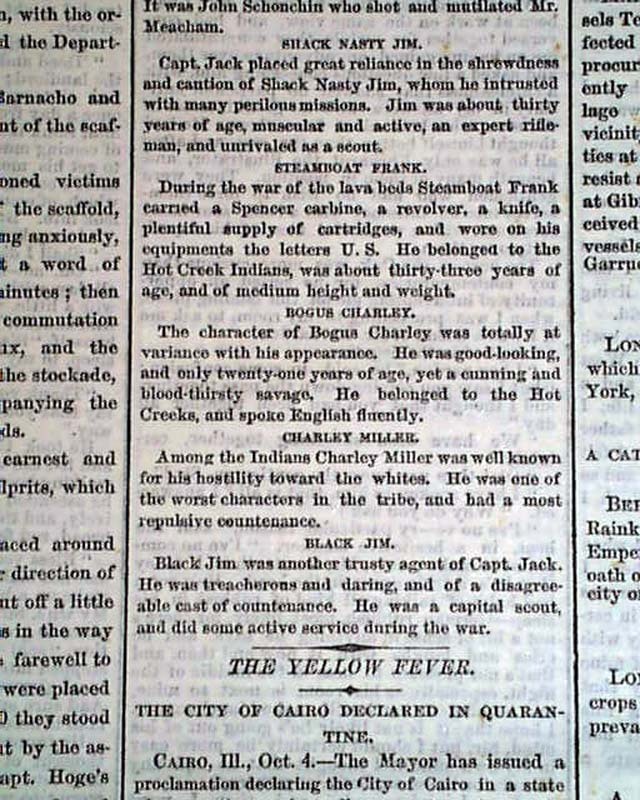 This is the report of the hanging of Captain Jack, leader of the Modoc Indians, and others for their involvement in the Modoc War. 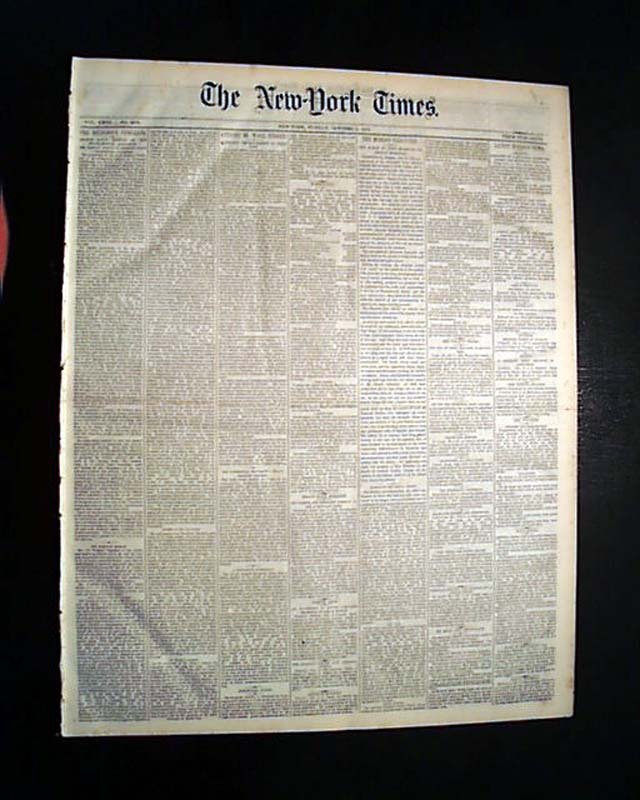 Various subheads (see photos). 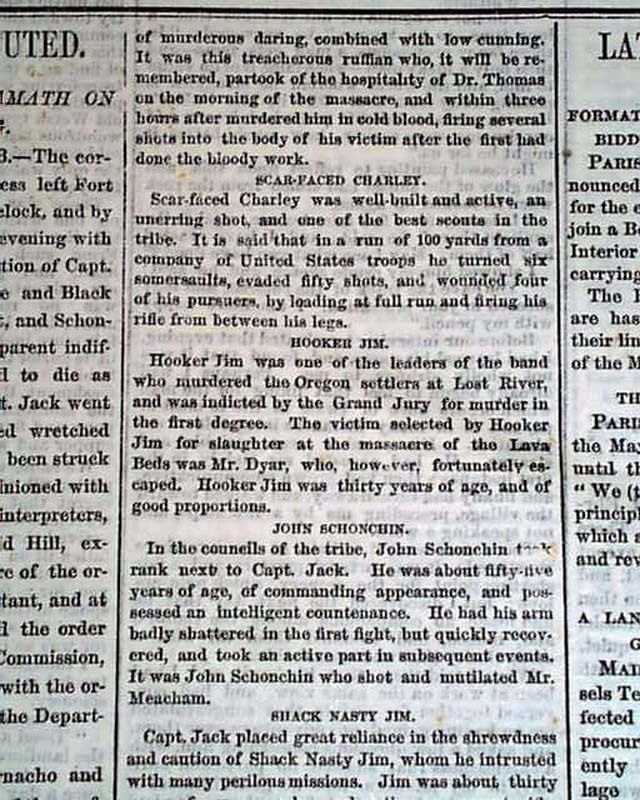 The hyperlink has much on the war.